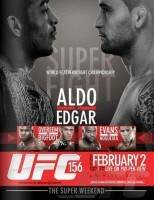 The UFC 156: Aldo vs. Edgar event is set for February 2 in Las Vegas at the Mandalay Bay Events Center. It should be a great event with former UFC lightweight champion Frankie Edgar dropping down to his more natural weight class to challenge Jose Aldo for the UFC featherweight title. Former UFC light heavyweight champion Rashad Evans will return to action to take on MMA veteran Antonio Rogerio Nogueira. Also, Alistair Overeem will return after serving a year long suspension to take on Antonio “Bigfoot” Silva. 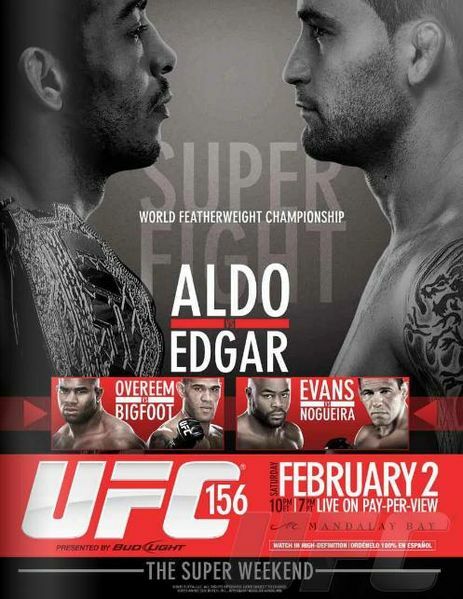 Be sure to make ProMMAnow (www.prommanow.com) your home for UFC 156 coverage.